Dr. Prameelasekhar is the most proficient and skillful expert. She had made my delivery a smoother and risk free one. She explained me all the precautions and care tips with patience. All the nurses are helpful at any odd time. The food was too yummy! Thanks Apollo Cradle. Apollo Cradle is a well-known healthcare facility. Therefore, when it came to my delivery, I visited its branch in Kondapur. I was treated by Dr Prameela and her team who were simply exceptional. I was put at ease right from the beginning and the nurses were also around to help you. The front office team also explained all the packages and helped us choose the perfect one for us. I opted for a suite and it was great. I was admitted to Apollo Cradle for my delivery. My doctor was Dr Prameela Shekar, who was not only a good doctor, but also a lovely human being. The nurses were competent, and the hospital staff was also really helpful. My single deluxe room had AC and television. The food was always delivered on time and was good. The discharge formalities were done thoroughly and quickly. The ambulance service of Apollo Cradle in Kothaguda is extremely efficient. I was really happy with it. I was admitted for my delivery and my doctor was Dr Prameela Shekar. She put me at ease right from the start. Her team, including all the nurses, were great. The housekeeping staff did a fantastic job of keeping the premises clean. The single deluxe room came with a TV and AC which was working perfectly and the food was definitely good. I went to Apollo Cradle, Kondapur for the delivery of my baby. I was under the supervision of Dr Prameela and her team. They were helpful, caring and complete professionals. I stayed in the single deluxe room which was clean and had spacious washrooms. The food was nice, and the nurses are always around to take care of you. 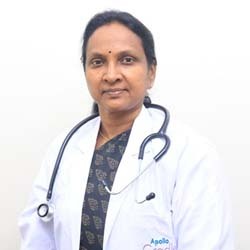 I came to Apollo Cradle, Kondapur for my delivery under Dr Prameela Sekhar and I can say that the doctor is excellent and services are good. The behaviour of the front office staff was a bit disappointing at the time of admission. The taste and quality of food were also not up to par. Rest, the staff and the services provided were good. The place is hygienic and well-maintained. Patient care at its best: Apollo Cradle. I’ll recommend this hospital to all my relatives. Overall, it was a wonderful experience for our family to visit Apollo Cradle. We were impressed with the service, treatment, doctor-patient care. Thanks a lot for being a major support in bringing our little bundle joy into this world. It was one beautiful experience to deliver our baby here at Apollo Cradle. Thanks to the entire team for their care and unconditional support. I’m humbled and grateful to the entire team of Apollo Cradle for being a great support during pregnancy and delivery. Thanks to one and all.